To all the Australians out there, both soaking it up on our own shores and those ex-pats enjoying a VB and vegemite sanga overseas - Happy Australia Day! 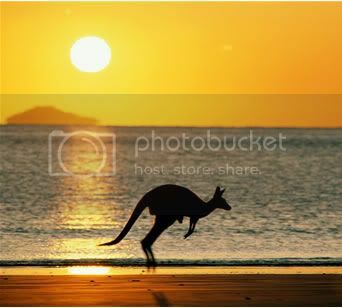 "Australia Day, also known as Anniversary Day and Foundation Day, is the official national day of Australia. Celebrated annually on 26 January, the day commemorates the arrival of the First Fleet in 1788, the unfurling of the British flag at Sydney Cove and the proclamation of British sovereignty over the eastern seaboard of Australia." So basically, today we celebrate both the official creation of our great country, and also the fact that a bunch of white folks claimed 'Terra nullius' on a land occupied by what is possibly the oldest surviving culture on earth, stole their land, committed genocide on their people, treated them as less than human (an attitude which remains today) and even stole their kids mid-last century. Go Australia!